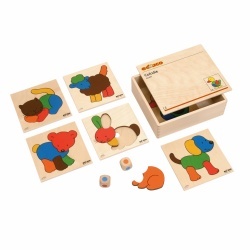 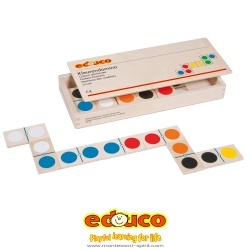 Wooden dominoes with tiles that feature colourful wooden shapes. 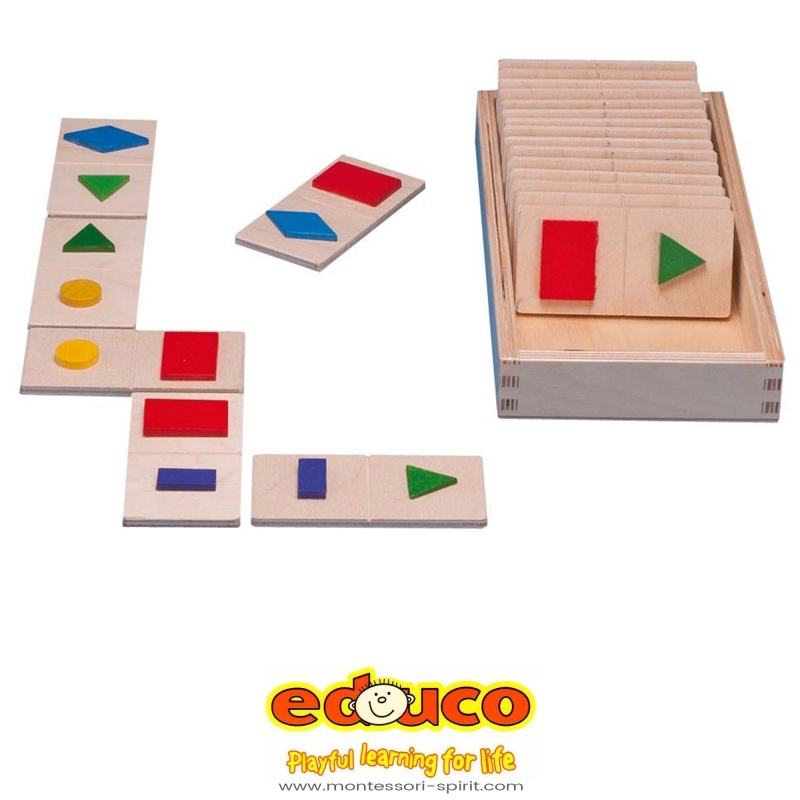 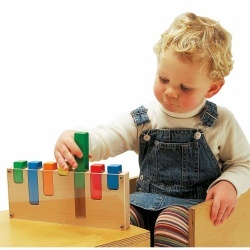 Learn to recognise and compare shapes and develop fine motor skills. 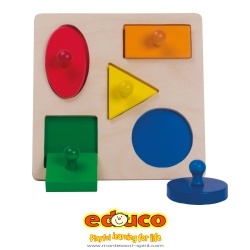 Try to play the game blindfolded to learn to distinguish shapes only by touch.